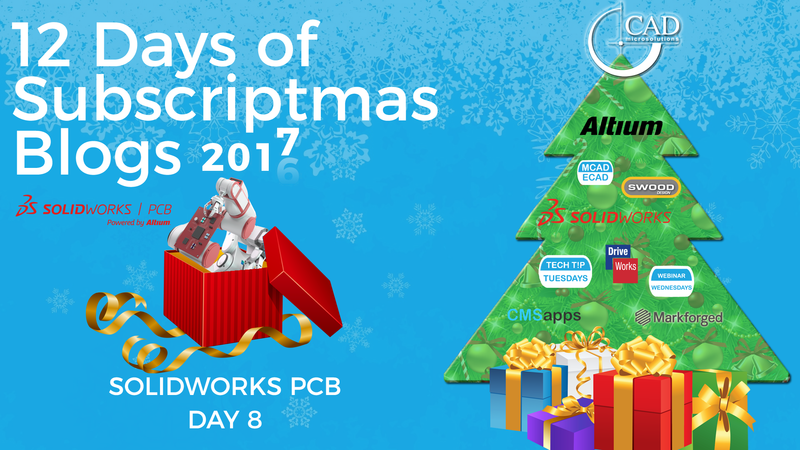 On the eighth day of Subscriptmas, we have the product that has transformed the Internet of Things, brought to you by SOLIDWORKS PCB. The Internet of Things (IoT) is an emerging industry that is revolutionizing the way everyday objects have network connectivity and the way we connect to these devices; allowing us to send and receive data. It brings to life mechanical devices, that were once voiceless and unconnected, into smart devices that can communicate and be controlled remotely. Three examples that were presented by my colleague Taha Ramy at our SOLIDWORKS 2017 Grand Launch are: Smart Bicycles – This bicycle was developed in Toronto by one of our customers. Previously a purely mechanical object, new smart bicycles can now can track our routes, suggest better routes, offer blind spot detection and even provide security when we are away from our bikes. Fitbit Watch – Fitbit’s products are another connected device in the form of wearables that help you stay motivated and improve your health by tracking your activity, exercise, food, weight and sleep. Smart Home Devices – Companies like Nest have pioneered the revolution in making your home smart, with products like smart thermostats, smart security cameras and smart alarms. These devices are focused on creating simple, human, delightful things and providing us the convenience and comfort of monitoring the analytics and allowing us to control the devices remotely from anywhere. One thing all the connected devices listed above have in common is their PCB (Printed Circuit Boards). In collaboration with Altium, SOLIDWORKS has officially entered the PCB CAD market with a unique tool that is simple, flexible and supported by over 50 years of combined experience, SOLIDWORKS PCB. SOLIDWORKS PCB (SW PCB), is powered by Altium, and reforms the collaboration between mechanical designers and PCB designers through the SOLIDWORKS PCB Connector. 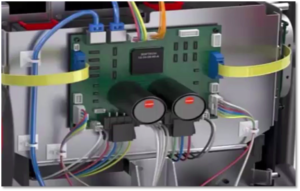 The SOLIDWORKS PCB Connector extension creates a unified CAD environment with seamless transition between library generation, schematics design, and PCB design, a streamlined schematic and PCB design environment, and 3D visualization directly embedded in the software. Having the best of both worlds from Altium and SOLIDWORKS, SOLIDWORKS PCB also inherits the classical ribbon system that is used throughout the SOLIDWORKS suite of products, and this does allow for better feature access and ease of use. 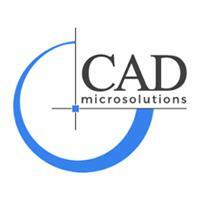 SOLIDWORKS is now able to offer an ecosystem of CAD solutions that can integrate seamlessly with one another. In this photo, the PCB was designed in SOLIDWORKS PCB, the wires were routed in SOLIDWORKS Electrical and then assembled in SOLIDWORKS and rendered using PhotoView 360.